We recently had 3 Harvey Acoustic Windows installed in a bedroom in our home. We live on a very busy street and the windows we had were not keeping the sound of the traffic noise out and we were unable to sleep. We chose the Harvey Acoustic Windows because they had the highest STC rating that we could find and they specifically stated and market them for keeping out noise. So we had them installed and what a waste of alot of money! They are no better than the ones we had replaced. We could still hear the traffic noise the same as with our old double pane windows. They didn't do a thing. These "acoustic" windows are just a double pane window with a storm window. Don't be fooled like we were unless you want to waste your money. We contacted the manufacturer and they just gave us excuses such as it's not the window, it was the installation, you should have gotten ALL new windows not just these three, it's your house, etc., etc., everything except that it was their windows that were at fault. They were rude and they told us they weren't going to do anything about it. We contacted the installer and they told us exactly what they did to install these windows, step by step, and everything was done correctly on their part. So needless to say, we are extremely disappointed in these windows and the fact that we spent so much money on them and having them not improve the noise reduction at all, and the manufacturers response regarding this matter. We will never buy Harvey products again and will never recommend them to anyone. Great window. Works perfectly. Seals very well. No drafts whatsoever. The home is quieter. Best bang for the buck there is. Lifetime warranty on parts and mechanisms. 20 Years on glass defects. And I got Lifetime Glass breakage coverage for choosing an Elite dealer. Don't believe the hype on tv about vinyl windows being bad. The Harvey windows cost 1/3 of what you will pay for "the big name" and you are getting equal quality. I did my research and it is all hype. 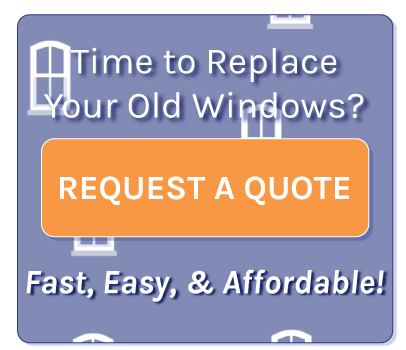 If you need windows, siding or roofing and they service your area look no further. They respond to your calls and emails. They are a class act to deal with in every way. Seriously. I had 20 windows replaced, 19 double hung and 1 rolling window and also had my sliding glass door replaced. All for under $15,000. The "big name" company quoted me $45,000 for the same work. Then offered to drop the price all the way to $36,000 when I said no. What a scam.